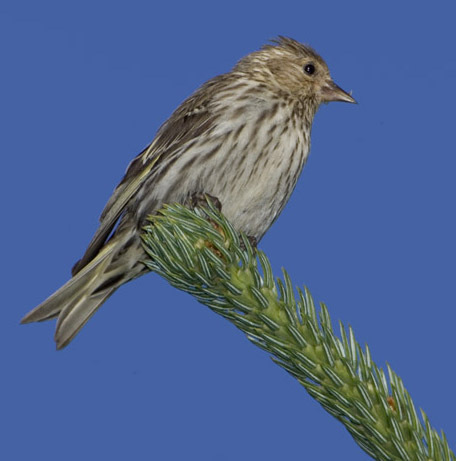 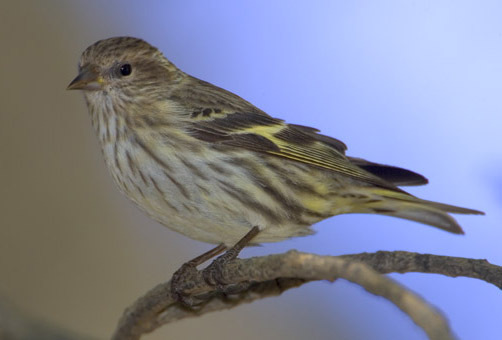 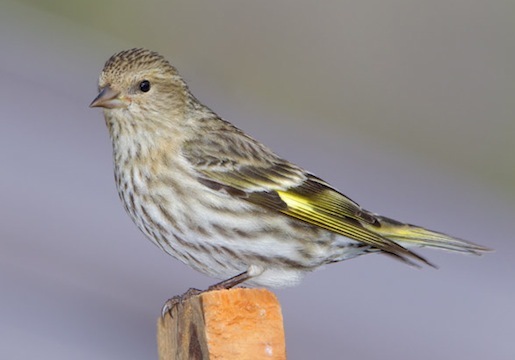 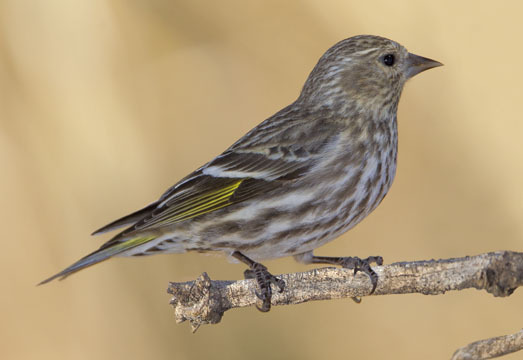 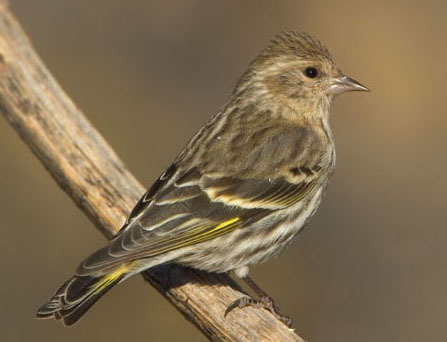 Pine siskins are small, streaked finches with yellow in the wings and tail. 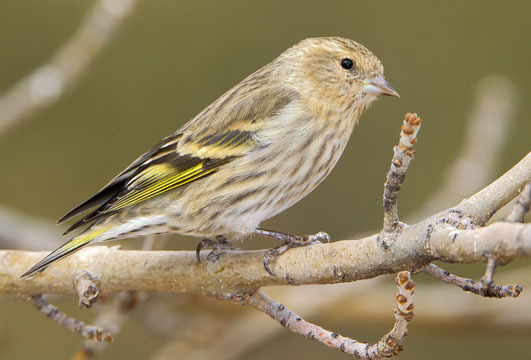 Siskins breed in northern and mountain forests and in winter they migrate to varying degrees depending on the severity of the season. 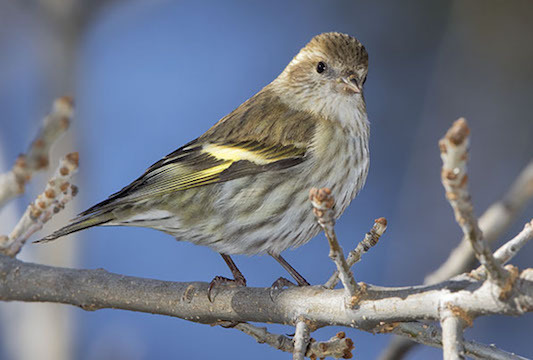 These birds were photographed near Homer, Alaska; in southeast Arizona, near Mono Lake in Mono County, California, and in Morongo Valley, California.